When you are suspicious of having mold in your home, or even if you can actively see it growing, it is important for your health to deal with it in the correct way. Mold can be very dangerous, and even life-threatening to babies and seniors, so working quickly is vital to the health of everyone in your home or business. So how do you deal with mold removal in a safe way? Here are some tips. The very first thing you should do when you have a mold problem is to contact a mold removal specialist from Valleywide Restoration. Sometimes you can’t see mold, but you can have a feeling it is there by the way your home smells or if you are getting frequent headaches or respiratory problems. Even if you cannot see the mold, it would be worth your while to contact a professional. Mold removal companies have infrared moisture detecting tools that will indicate if there is any moisture within your walls that may be growing mold. A professional is the best person to be handling the cleanup of your mold problem. Mold can be in varying stages of growth and you should discuss what the best procedure would be for you and your family with a mold removal professional. If the mold growth is extensive and may take a long period of time, relocating to a relatives home or a hotel may be the best option for you. Remember the safety of your family is paramount, and you may be able to get some sort of redemption from your insurance company if you do need to go to a hotel. After the mold has been removed, you can discuss options of how to prevent further mold growth in the future with your professional restoration company. Mold growth in Gilbert is typically not from moisture in the air, so dehumidifiers may not be the best option. However, if you had water damage from a flood or a pipe leak, you can discuss what options would be best to ensure that doesn’t happen again, or so that you will be ready when it does. 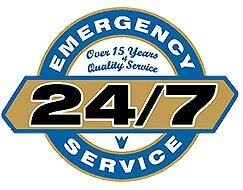 A preventative option for a pipe burst would be to replace some of them if they are old and corroded. You may need to consult a plumber as well if you have pipe damage throughout your home. If you have a flood, then it would be a good idea to discuss ways to grade and drain your yard in case of another flood. In any water damage situation, the best way to prevent mold growth and other extensive damage is to call a mold removal professional as soon as you experience a problem. The longer moisture is allowed to sit in your home, the worse the damage would be. In any water damage situation, the best way to prevent mold growth and other extensive damage is to call a mold removal professional as soon as you experience a problem. The longer moisture is allowed to sit in your home, the worse the damage will be. 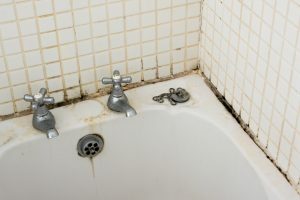 Mold growth may not seem like a big deal, but it can have lasting effects on your health and can get out of hand very fast if you don’t have it taken care of.